For most people who are interested in their family history or those interested in history in general, an old photograph of a place we know, or a place connected to our own family, adds so much to our knowledge of the past. The old saying that a picture paints a thousand words is so true! 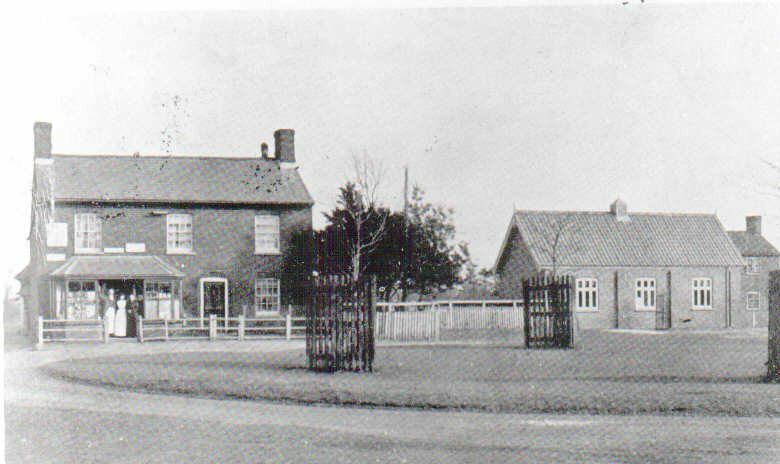 In this section, I will be sharing a small selection of my collection of old photographs of Norfolk and East Anglia, to show, in some cases, how much things have changed, but in many cases, just how some things also remain the same! My first old photograph is of Gressenhall, a lovely Norfolk village, with village green, duck pond and, unusually for today, a village shop and Post Office. Yes, this Post Office in the photograph, is still open for business and has changed very little. The Reading Room to the right, has had a modern extension on the front, but it too, is still used by villagers, not as a reading room, but for Mother & Toddler, Play-Group, Parish Council, Art Group and many other uses. The main change to this view from then to now, are the trees! They are no longer little saplings! From one view that has altered very little, to this one that has changed completely! 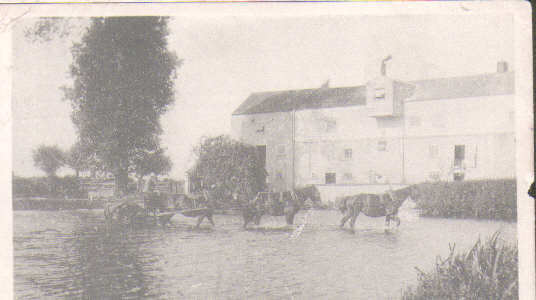 There is nothing in this view of Goggs’ Mill that remains today. 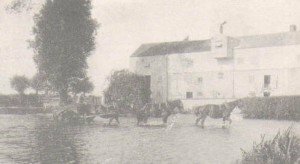 According to the information on the Norfolk Mills website; HERE, the mill itself was demolished in the 1950’s. King’s Lynn is one of my favourite towns in Norfolk as it is where we used to go every week to do our shopping when I was a child and near where my Grandparents lived. 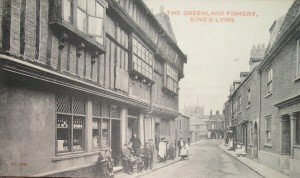 My ancestors knew it when it was an important fishing town and when the town was crammed full of tiny back streets and cramped cottages, overflowing with large families, living in terrible conditions. This view of The Greenland Fishery Public House shows just such a typical Edwardian street but it doesn’t show what was behind the respectable looking houses on the street frontage! Many of these houses and shops had passages that led to the back yard, around which were groups of cottages. In those cottages lived the likes of my ancestors, often in a couple of rooms, families of ten or more, sharing every tiny bit of space available. Families in such yards sharing one toilet and, if they were lucky, a pump of fresh water. Little wonder they lost many children in infancy and the adults died young. This building in the foreground, on the left still stands, but the whole right-hand side of the picture has been replaced by modern slums from the 1960’s. St Margaret’s Church can be seen in the distance.